Works a Treat. This spray worked perfectly in and around my home. A few second burst is all you need. Highly recommended. Has worked a treat. Far better than other products we have tred. Excellent product performance to deal with ants nest in brickwork cavity. Will purchase more as back-up should problem re-occur. Great product made the ants scatter have not checked for two days as no sign of ants. Only used a few days ago but so far so good not many ant's now and those that do so are soon demised. 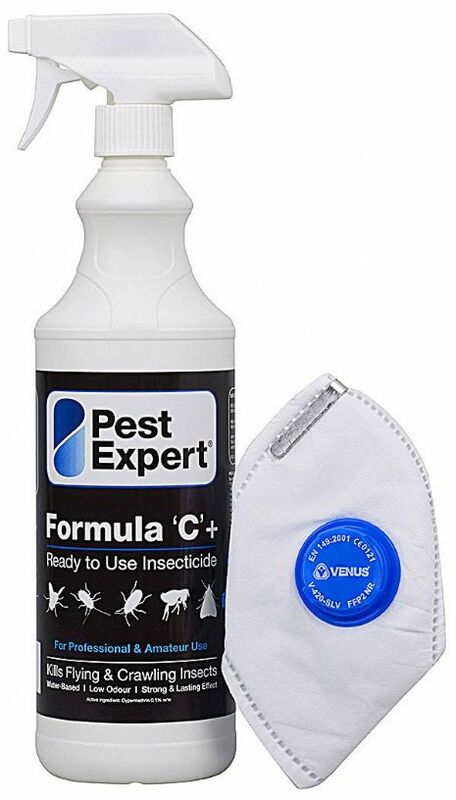 Bought last year when house was invaded by ants so had no hesitation to buy more when they returned last month.Brilliant product works as stated plus next day delivery.Would recommend this product to anyone. Have used before and it is very effective. As usual excellent service from Pest Control Supplies. Good product. I noticed three ants nests under my lawn and past attempts to deal with them using other products has been ineffective. attacks on the nest with nematodes has simply resulted in the nest appearing elsewhere. I used this spray and the nests have gone. They do not appear to have simply moved to another location so I am very pleased so far. This really works. It's good to find a product that actually lives up to the claims made about it. This works and quickly. A wonderful product that sorted my ants problem out. work after a minute or two of being sprayed I would recommend wearing a mask. I will be buying a new can as soon as this one runs out I think we had a false widow infestation And it has resolved the problem one happy customer!